You’re looking for a London moving company. So, you’re packing up and moving on; onto a new life, a new home and the start of a new future. A new home means change and change can be hard, but it doesn’t have to be. We always like the idea of change because it means that you’re learning something new and seeing new places but we also know that it can be a challenging time of your life so we like to give you a hand and make the transition that bit easier. 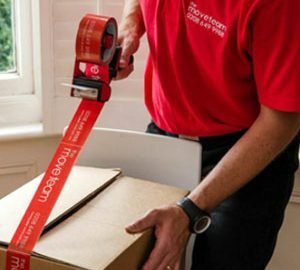 With great options for storage not just in London but across the UK, The Move Team offer an expert removals service within London and the surrounding areas that can totally change your perspective of moving. Our London moving company service consists of well trained professionals who will ensure that your move goes smoothly and as stress free as possible. We have a fleet of vehicles that can accommodate large or small moves not just in London but across the UK. Whether you are planning a big move, small move, moving across town or across the country, The Move Team is here to help you no matter how big or small your move is. As one of the leading movers in London, we offer a range of top quality house, office and business removal packages. For more information about our other services feel free to call us or email us with any enquiries. We want to provide you with a stress-free move, so relax and let our team of professional movers take care of everything on the day by providing you with excellent reliable London Removals and Storage Solution. For small and medium removals in London, we charge by the hour. This means that you pay for exactly what you use – nothing more. We know that moving is expensive so, every penny counts. For larger scale, more complicated moves, one of our staff members will come to assess your property and then provide you with a custom quote. Having a large property can sometimes mean there are lots of possessions. To help you, therefore we also offer full and partial packing, storage and worldwide shipping services. Insurance cover of up to £50,000 is an optional extra on every quote. As a leading movers London with over 10 years of experience, we offer top quality services at competitive prices. Our London moving company removal services strives to provide an exceptional customer service experience, coupled together with secure storage solutions. Speak to one of our friendly staff on 0208 649 9988 for a reliable well priced removals London or simply fill in our online enquiry form.